It was a busy year for Snøhetta, the Oslo and New York-based firm led by architects Craig Dykers and Kjetil Trædal Thorsen. 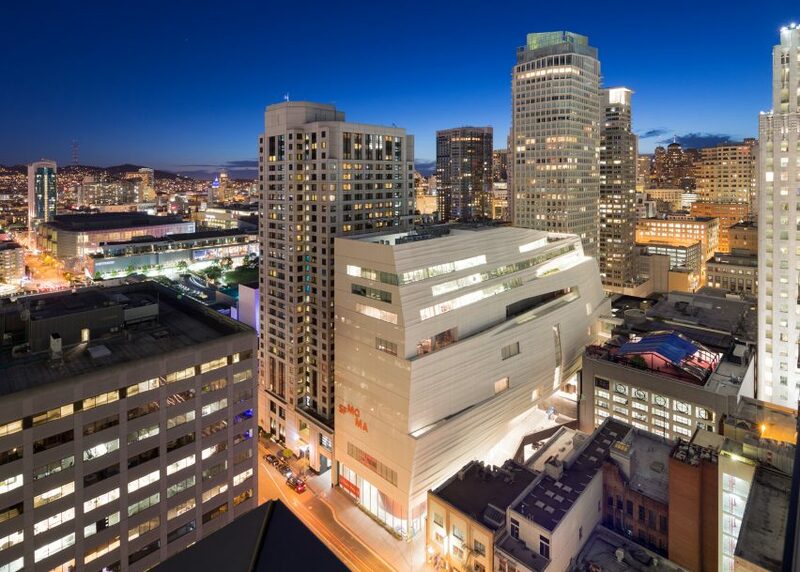 They completed one of their most important projects to date, a major extension to the Mario Botta-designed San Francisco Museum of Modern Art (SFMoMA), which more than tripled its gallery space. In an exclusive interview with Dezeen, Dykers described the project as a complementary "dance partner" for Botta's building, although critics feel differently, comparing it to a "gigantic meringue" and a "cruise ship". The studio narrowly missed on a few other important projects, ranging from a new national gallery for Budapest to Barack Obama's official presidential library, but did win planning permission for an innovative new library in Philadelphia, building on some of the ideas demonstrated in the popular Ryerson University student centre in Toronto. Surprisingly, Snøhetta's most viewed project of the year on Dezeen was much smaller in scale – a rework of the iconic Series 7 chair by Danish Modernist Arne Jacobsen. The studio also continues to get loads of hits on its reindeer observation centre in Norway, even though it completed the undulating wooden building five years ago.